Tech PHD by Assurant® is like having your own Personal Help Desk for your T-Mobile phone and all the devices that connect to it. 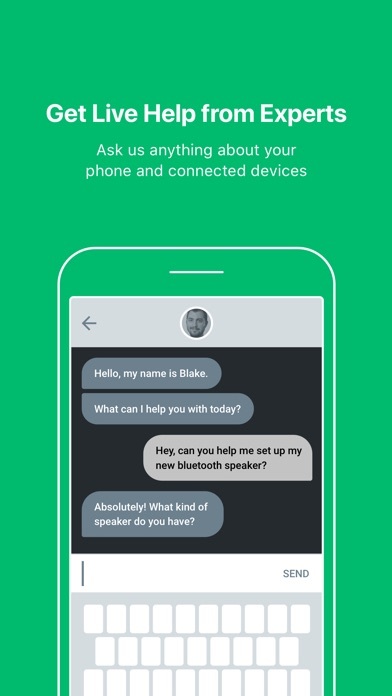 •	Get instant access to knowledgeable US-based technical support* - tap to call or chat with a Technical Support Analyst for support on all your connected devices such as printers, routers, game consoles, smart TVs and thermostats. Automatically get access to this advanced feature at no extra cost as a Premium Device Protection Plus customer. •	Access your device protection plan summary and coverage documents. 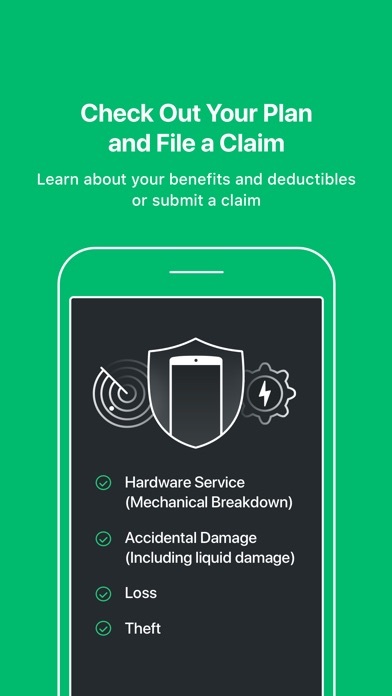 •	Use the chat bot to start a claim for cracks, drops or spills. •	Discover useful Tips about connectivity, security, battery usage, storage and more. •	Get help for your device with step-by-step troubleshooting guides. Register in the app with your T-Mobile phone number to enable services and verify your eligibility. If you are not eligible for technical support, that feature will be removed 14 days after registration. *Support for all connected devices is limited to setup, configuration or resolution of a home network connectivity issue. Very informative and helpful! Easy to use and I use it regularly. All my Tmobile Support apps have all been experiencing major bugs and expliciting major symptoms of malware. My personal account information and all my device's data has been compromise.Phishing within the apps and during background refresh. It's refreshing alright! It's refreshing the apps but I have seen in deem transparency the guided access screen scanner change and manipulate the apps operation. Constant shutting down and random app closeouts exactly when entering vital private information such as account passwords, inputing credit card payment information, missing texts and calls, etc. Now my SIM card is LOCKED! Not even the SIM card PIN works to enable a functioning phone. When I turn off my phone and turn it back, it demands me to input the SIM PUK code. The PUK code is basically the identity of your mobile number because its like the skeleton behind your SIM card. The list of app malware nightmares still continues. Tmobile apps actually have never given me Support! I just realized I wrote a novel for a review! My advise is Malware Bytes and McFee Security App. Unfortunately for myself my security apps no longer secure any of my devices or my mental sanity. My phone was stolen a few months ago and itt hasn't helped my situation at all. MY ADVISE IS READ UP and RESEARCH every app you download and utilize. Especially before it utilizes more than what you expect! I literally don’t know where to start. The horrible customer service reps or just their thieving ways. T-Mobile REALLY messed up by partnering with these guys. Switching to another carrier ASAP. Taking more than 2 weeks now to verifying my enrollment. For that reason, I’m out! This is crab. Worst claim company ever. Ive been with Tmobile for many years and have been paying this company insurance $ for years with no claims. When I finally need them to file a claim for my stolen Iphone they cant cover it because the person who stole it had my permission to use it and its my fault for trusting someone who would steal from me. Like seriously what about all the dam money ive been paying you all for over 4 years. I have been a T-Mobile Customer for 5 years, and when a store rep showed me this app I was blown away! I am not the most technical person, but the Tech PHD expert I spoke to on the phone was able to assist me with all my technical questions. I was in need of resetting my WiFi router and connecting my phone to my new smart fridge, and the helpful rep on the phone help me set everything up within 30 min. This app is only available to JUMP plus customer at T-Mobile, and it is a cool service I’ll use for all my IOT needs.